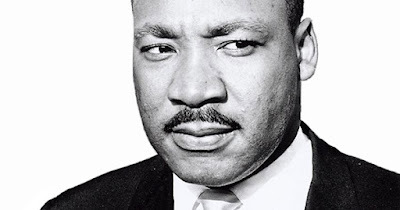 10 Things Most People Don't Know About Martin Luther King, Jr.
Dr. Martin Luther King Jr. is one of the greatest and most recognized civil rights leaders of all time. All around the world, he is remembered for his brave hands-on civil rights efforts for African Americans in the 1960's, including his famous speech “I Have a Dream.” But there are many more aspects of his life that are not known by most people. #1 - He started college at the young age of 15, and graduated college at the age of 19 with a Bachelor’s degree. He attended Morehouse College in Atlanta, Georgia. #2 - He was named after his father, Michael King, who was a pastor and missionary. After a family trip to Germany his father changed both of their names to “Martin Luther” after the German Protestant Reformer. #3 - At the age of 12 after his grandmother died, King was so distraught that he once tried to commit suicide by jumping out of a 2-story window. #4 - He was a huge Star Trek fan. #5 - He and his wife Coretta spent their honeymoon at a friend’s funeral parlor because they said there were few honeymoon options available to people of color in those days. #6 - The last part of his famous speech, “I Had a Dream,” was totally improvised, created on-the-spot without preparation. #7 - He still holds the record as the youngest male to ever receive the Nobel Peace Prize, which he won in 1964 at the age of 35. #8 - He had what is now called heart disease. In fact, at the time of his death at age 39, doctors said he had the heart of a 60-year old. #9 - In 1958, he was stabbed in the chest by a mentally ill woman during a book signing. The knife's blade barely missed his aorta. #10 - His original career goal was to become a doctor or lawyer, not a preacher.